BBC on rare visit to North Korea Jump to media player The BBC's Rupert Wingfield-Hayes begins a week in North Korea with three Nobel laureates and a European prince. Undercover in North Korea Jump to media player John Sweeney and the BBC Panorama team's undercover report on the harsh reality of life in North Korea. This week, North Korea will open its first Workers Party Congress in nearly 40 years, where supreme leader Kim Jong-un is expected to formalise his own succession and set out his agenda. 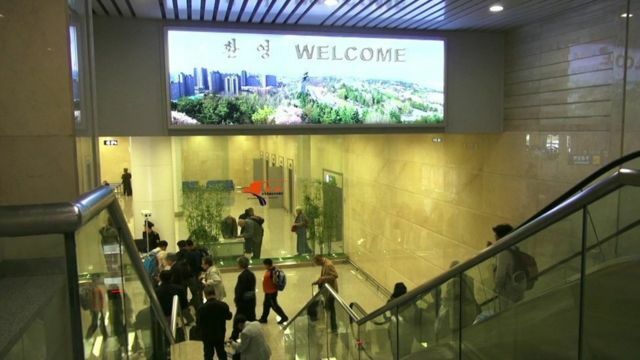 Getting inside North Korea is always difficult, but our correspondent Rupert Wingfield-Hayes has been given rare access, along with three Nobel laureates and a European prince. This is the first of his reports from inside North Korea.